This evening at 9pm (EST), NBC Rock Center, hosted by Brian Williams, will report on the staggering numbers of concussions sustained by adolescent girls playing soccer. Female contact sports means concussions are no longer an issue just affecting boys. Read the full article here for more information about tonight’s program. Check out your local listings for the channel. 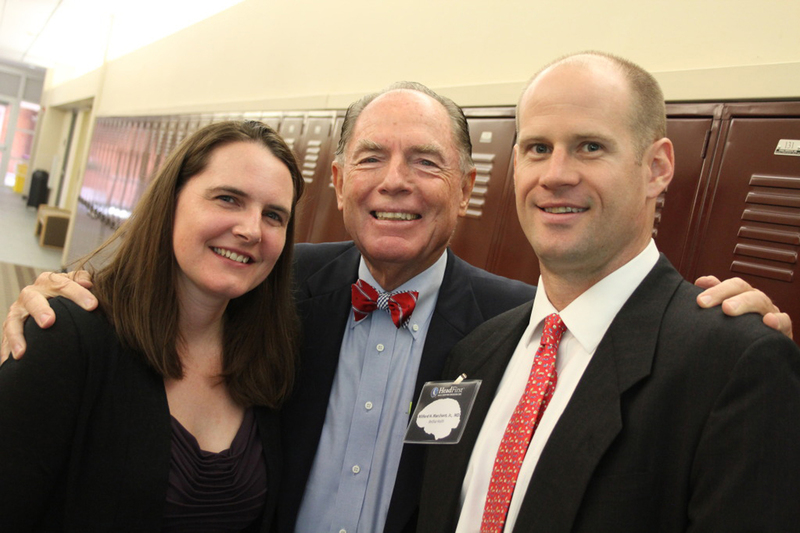 HeadFirst Sports Injury and Concussion Care, a program of Righttime Medical Care, hosted its first ImPACT Workshop on Saturday, May 5, at the Severn School in Severna Park, Md. Jamie Pardini, Ph.D., neuropsychologist at the University of Pittsburgh Medical Center, discussed the ImPACT neurocognitive assessment program as a tool to diagnose concussions. Also presenting at the workshop were Milford H. Marchant, Jr., M.D., orthopaedic and sports medicine specialist at MedStar Harbor Hospital, and Christopher G. Vaughan, Psy.D., pediatric neuropsychologist at Children’s National Medical Center. More than 50 physicians, physical therapists, certified athletic trainers and other professionals attended the workshop to learn about helping students and their families navigate the road to recovery and make a safe return to play following a sports-related concussion. For information about potential upcoming educational events, please email contact information to HeadFirst Program Director Amy Knappen. ImPACT workshop presenters Dr. Jamie Pardini (left), of the University of Pittsburgh Medical Center and Dr. Milford H. Marchant, Jr. (right), of MedStar Harbor Hospital, are joined by Dr. Robert G. Graw, Jr., CEO of Righttime Medical Care, at the first event sponsored by Righttime’s new program, HeadFirst Sports and Concussion Care. Righttime Medical Care attended the Chesapeake Bayhawks first home game on Saturday, May 5, to focus on its new service, HeadFirst Sports Injury and Concussion Care. The Major League Lacrosse team (including from left, Michael Kimmel [#51]; Steven Brooks [#44]; Bayhawks owner Brendan Kelly; Mike Evans [#33]) plays their home games at the Navy Marine Corps Memorial Stadium in Annapolis, Md. The HeadFirst team (including Athletic Trainer Michelle Anderson, far right, of the Severn School in Severna Park, Md.) 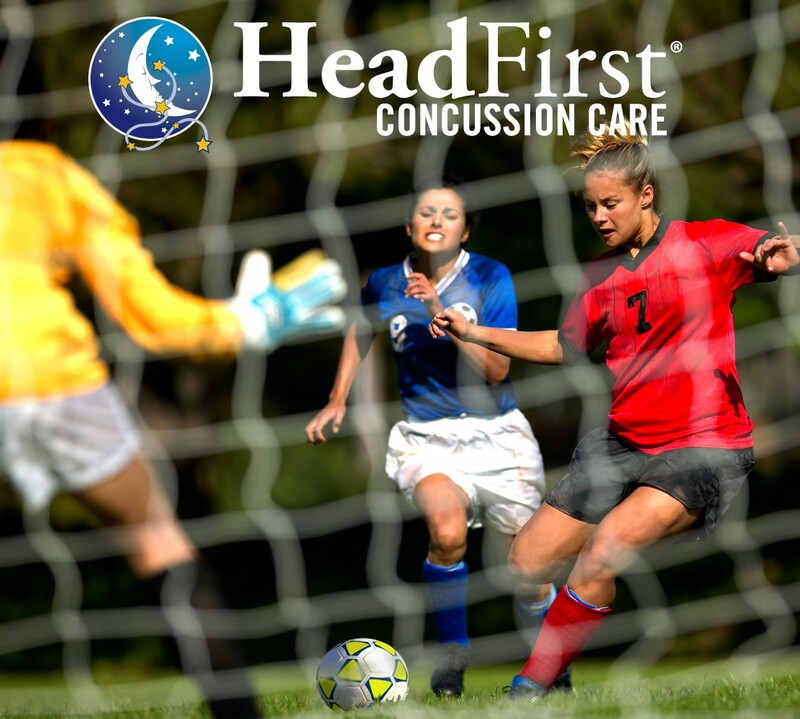 provides education, pre- and post-injury cognitive assessment testing and specialist referrals to help students and their families navigate the road to recovery and make a safe return to play following a sports-related concussion. 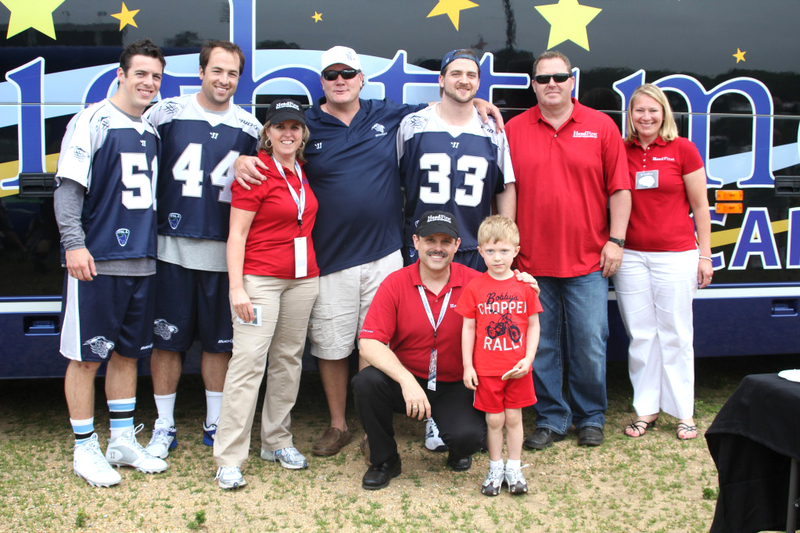 Righttime Medical Care’s Mobile Care Center, a 45-foot bus, was at Saturday’s game and will appear at each of the Bayhawks’ 2012 home games, delivering prizes and information to fans. For more photos, visit www.myheadfirst.com/pressroom.